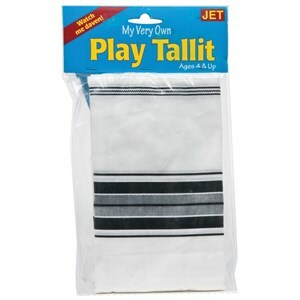 A child-size play tallit. Looks real, complete with stripes and imitation tzitzis (fringes). Corners are rounded to avoid violating Jewish laws.